How can I change the font size of the text in my webpages? HOME > WEBSITE AREA > How can I change the font size of the text in my webpages? The website pages have a design template structured and the hotel will be able to edit each page by adding text/ images/ content block/ PDF's and videos. Regarding the Text, it's possible to edit it's presentation with the editor tools such as the Italic/bold or Underline but, regarding it's font size, it will follow the designed structure. It's possible to highlight the text which may vary it's styles display, according to your website template and relevant color scheme. STEP 2: Select the page you wish to change and click on EDIT. or double click over the website page. STEP 3: Find the section where you want to edit the text's font size. 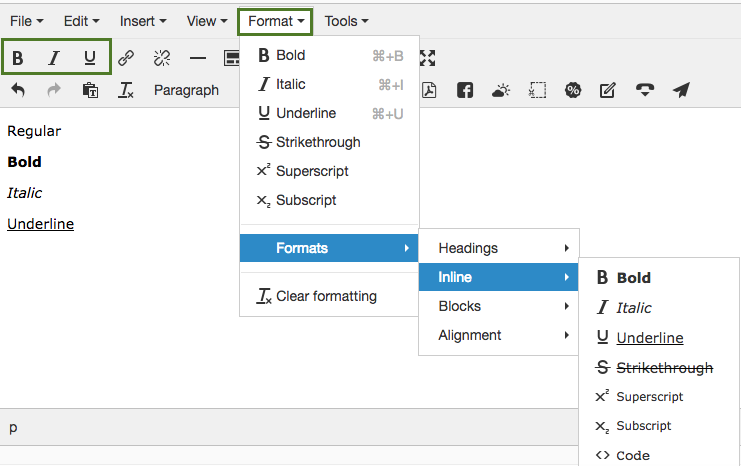 STEP 4: Select the styles you wish to aply onto your text, by scrolling down the available Format options. The Font and Colors are not editable. The styles display will vary according to your website template and relevant color scheme. These formats are dedicated to titles, subtitles and a point of a sub-title, as a way highligh the text. STEP 5: Make sure you save all the information entered by clicking on the button. STEP 6: PUBLISH CHANGES under WEBSITE tab, so that all this information becomes available at your website.